People ask us all the time how to make a career in the world of Parkour. We tell them, that since Parkour is still a relatively new sport, that they have to be at the top of their game, not only as an athlete but also in their business and marketing practices. Relatively speaking, there still are not a lot of Parkour athletes in the world who make their sole living at Parkour. We think that Willie “Wiljay” Moore has a great shot of combining his personal, business, and athletic skills into being one of those that can take it all the way. 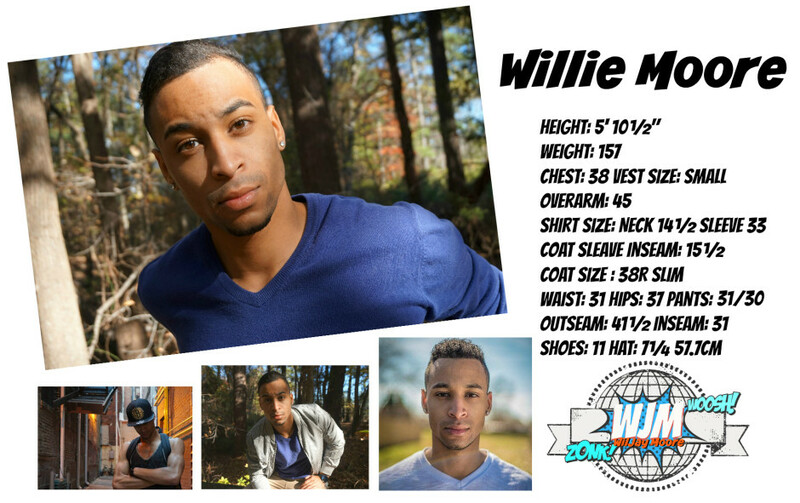 ​Willie “WilJay” Moore is an American actor, host, model, and parkour/freerunning athlete. Mainly known for his quirky style and personality on his ever growing YouTube channel, Willie is always trying to expand what it means to be a versatile entertainer. With a heavy eight year background in what he calls the “Urban arts”, specializing in on camera stunt work and acting, Willie has created his very own Stunt stories. These stunt stories are acted in, produced, edited, and directed by Willie himself adding his own charisma and character to every bizarre situation he encounters. Being a kid of the social generation, Willie immersed himself deeply into videos and movies filled with action often telling himself, “I can do that. Movement kept me from getting in trouble as a kid. It allowed me to see things differently from a point of objection… parkour/freerunning made me unique.” He understands that diversity and versatility make him a valuable resource. His persistence has led to work and partnerships with major companies such as Coca Cola, American Eagle, Investigation Discovery, and many more. Willie also believes that being an example for the younger generation is more than a privilege, but a responsibility. He calls his viewers heroes as a reminder for them to push for more in their personal lives.